Are you ready to retire? Are you prepared to retire? 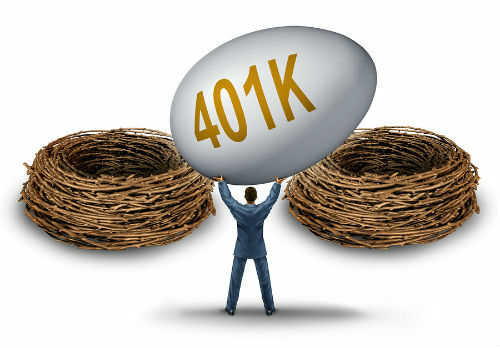 Many people are cutting back their contributions to their retirement plans, such as to their 401(k) or IRA because of the deflating U.S. economy and even their deflating pocketbooks. If you’re one of those people, or are one considering saving money by not contributing to retirement, that’s not the way to go. You’ll only feel the sting even more at tax time. Adding to your 401(k) or another retirement plans through your employer actually will gain you money now, not just when you retire. 1) Save on your income taxes. When you add to your retirement account you reduce your taxable income. The less you add in, the more you’ll pay in taxes. If you’re under 50 years old, you can contribute as much as $15,500, and you will not be taxed on that much income. So imagine, by not contributing that, or even a lesser amount, you will be taxed on it. If you’re at a 25% tax bracket, that would be $3,750 in taxes on $15,500. 3) Increase your chances for tax credits. Tax credits start to phase out for upper-income earners. However, contributing to your retirement plan may let you take full advantage of the dependent-care, dependent-child, and tuition credits since your take home pay would be reduced. 4) Claim more itemized deductions. If you itemize your deductions contributing may keep your income below the level at which itemized deductions are reduced. 5) Get free money from your employer. Although many employers recently have changed how much per dollar they match on your retirement contributions, most companies still offer some form of matching. You’ll only lose that free money if you don’t contribute to your plan.